Hellmann’s Real Mayonnaise is made with 100% free-run eggs, oil, and vinegar for a rich, creamy flavour that your guests can savor. Ideal for hospitality and high-end foodservice channels, this delicious mayo excels as a condiment. It comes in a small glass room service mayo jar, making it an ideal addition to any hospitality establishment’s condiment inventory. 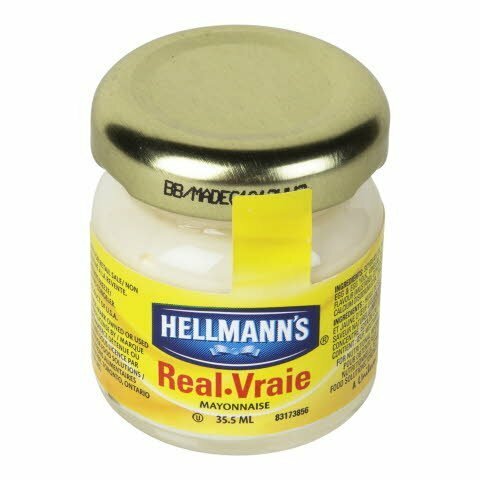 With its smooth mouth feel and balanced flavour, this mayonnaise is sure to impress even the most discerning palates. Delicious creamy mayonnaise offers a palate-pleasing balance of acidic and sweet flavour notes. Ideal for sandwiches and wrap fillings.